The 31-year-old passed away in his sleep on Saturday night/Sunday morning. Fiorentina captain Davide Astori’s death on Sunday on the eve of a Serie A clash between the Viola and Udinese sent shockwaves throughout the footballing world, with stars past and present posting tributes on social media to the 31-year-old defender. 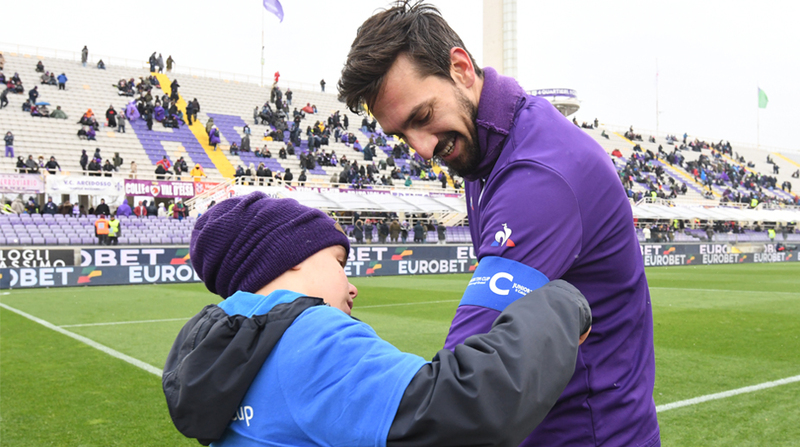 Fiorentina on Sunday broke the tragic news with a statement that read: “We are heartbroken to announce that club captain Davide Astori has passed away suddenly”. All Serie A matches were subsequently called off in the wake of Astori’s death, which has been said to have stemmed from a heart attack in his sleep. The centre-back, who left behind a wife and a baby girl, was a well liked figure among his peers and had just taken the captain’s armband from Gonzalo Rodriguez at the start of the 2017-18 season. His untimely demise sparked an outpouring of tributes from the who’s who of world football, from teammates to coaches to opponents sharing their disbelief and grief. Ciao caro Asto, difficilmente ho espresso pubblicamente un pensiero riguardo una persona, perché ho sempre lasciato che la bellezza e l’unicità di rapporti, di reciproca stima e affetto, non venissero strumentalizzati o gettati in pasto a chi non ha la delicatezza per rispettare certi legami. Nel tuo caso, sento di fare un’eccezione alla mia regola, perché hai una moglie giovane e dei familiari che staranno soffrendo,ma soprattutto la tua piccola bimba, merita di sapere che il suo papà era a tutti gli effetti una PERSONA PERBENE…..una GRANDE PERSONA PERBENE….eri l’espressione migliore di un mondo antico, superato, nel quale valori come l’altruismo, l’eleganza, l’educazione e il rispetto verso il prossimo, la facevano da padroni. Complimenti davvero, sei stata una delle migliori figure sportive nella quale mi sono imbattuto. R.I.P. Il tuo folle Gigi. Gran hombre y gran futbolista. Un abrazo muy grande para sus familiares, amigos y la @acffiorentina descansa en paz Davide. Conmocionado por la triste noticia del fallecimiento de Davide Astori. Un abrazo a su familia y a toda la @acffiorentina . Descansa en paz, capitano. Riposa in pace, capitano. Astori came thought the ranks at AC Milan’s Academy and while he never played for the Rossoneri in a senior game, his move to Cagliari helped establish himself in the Serie A, with many top clubs in the Italian top-flight taking notice of the 6’2 centre-back. Loan moves at Roma and Fiorentina followed before the Viola made a permanent move for him in 2016. Astori had made 14 appearances for the Italian national team as well, earning his first cap in 2011 under Cesare Prandelli and while he was not a regular in the Azzurri set up, he would have been in contention to make the squad had the four-time champions qualified for the 2018 FIFA World Cup.